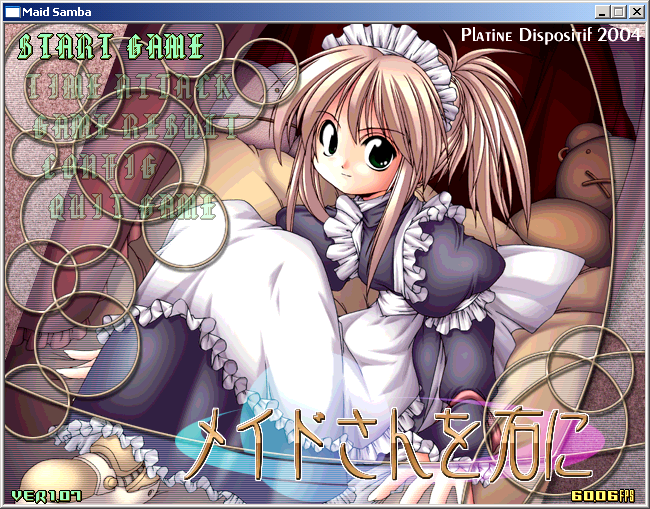 This game is Maid Samba most commonly referred to as Zangyura. It’s in the vein of “traditional doujin SHMUP author takes a stab at making a platformer.” A passive effort will reveal it to be a poor Castlevania knock off. Further investigation reveals its true nature; a joke. Etude’s jokes are mainly you laughing with the creator. Nocturne is more of him laughing at you. Knightmare… is an earthquake of infinite lives and infinite deaths. The screen-shaking and the constant dying is enough to overwhelm you, even with the insane amount of checkpoints everywhere. All in all, it’s a game for those appreciative of quirky yet forgiving level design and a yellow-haired lemming. 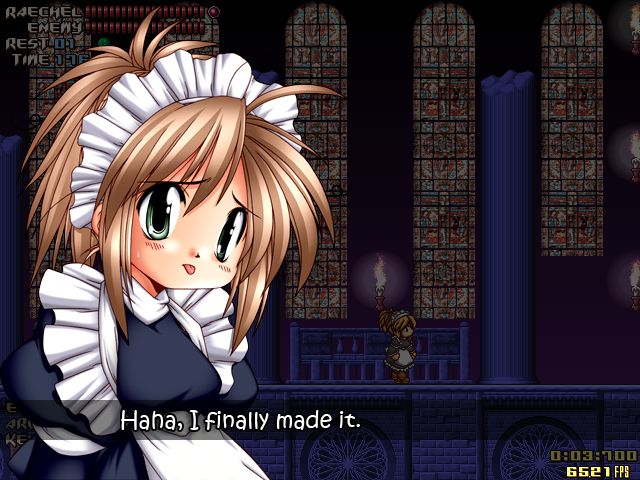 Maid Samba is a platformer produced by PlatineDispotif, the creators of Dicing Knight. It’s a clone of the classic (pre-SOTN) Castlevania games, and is ridiculously difficult. 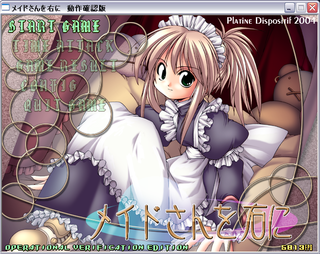 Maid Samba is not freeware, although there is an untranslated demo available here. NDT’s patch translates the entirety of the full game’s text into English. Please run the update from the above URL before patching into English.